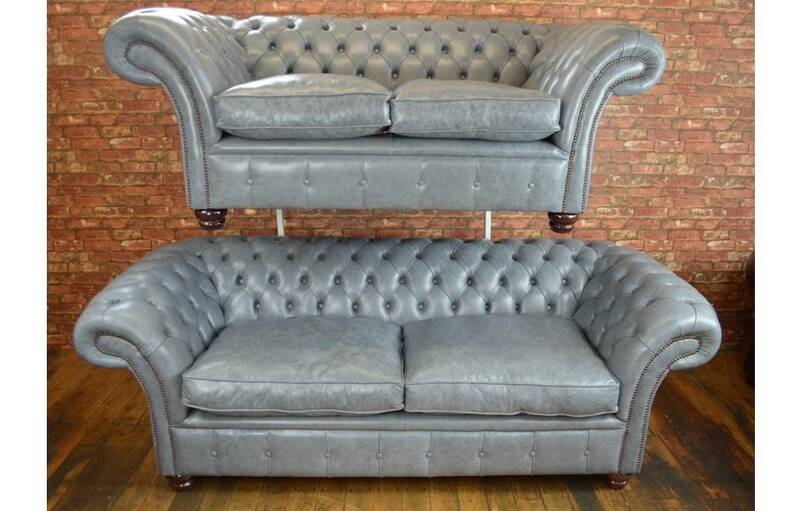 Here we have on sale The Buckingham Chesterfield Range 2 & 3 Seat Sofa. Finished in Superior Old English Liquorice Grey leather. Ready for dispatch at the earliest opportunity. Our Buckingham Chesterfield is a fine example of top quality traditional leather Chesterfield craftsmanship which combines hand made production, the finest hand picked materials and elegant design all to create this stunning suite. The Buckingham incorporates smooth sloping back and arm rests and a slightly sloped arm all to add to the overall comfort. This design is finished with wooden bun feet.